Stay here all the time great rooms great staff and amazing be pool location location location. Was down there because my husband was in the St Andrews Hospital it was very close were I had to go. The room wasn't stuffy it was fairly roomy and comfortable and clean. The staff were very friendly. I have stayed at the Summit multiple times and everytime has been a satisfactory experience. rooms are modern and clean with nice bathrooms and nice views. Convenience of location. Staff were very accommodating. Cleanliness of unit. Nice reception staff, close to St Andrew's Hospital, comfortable bed, nice unit, nice view. Parking included. 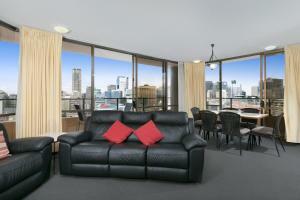 Lock in a great price for Summit Apartments – rated 8.3 by recent guests! 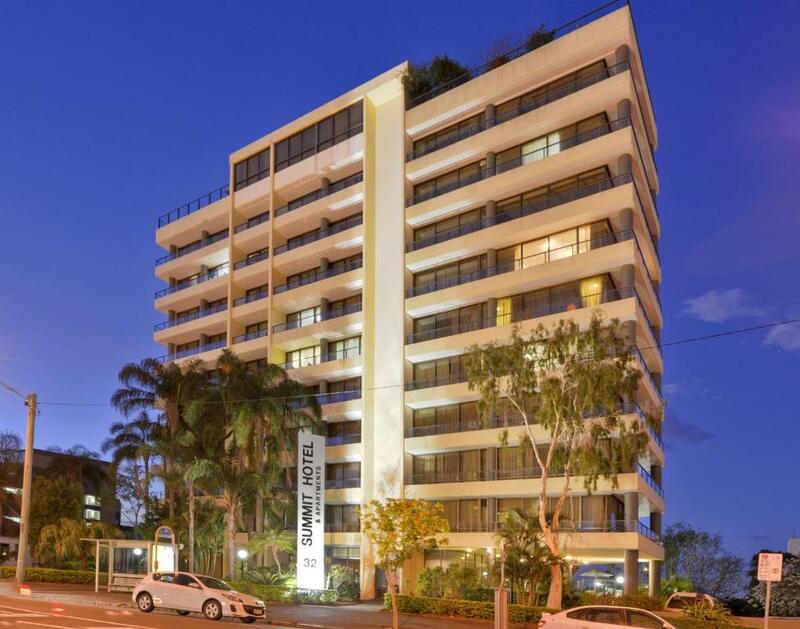 Summit Apartments This rating is a reflection of how the property compares to the industry standard when it comes to price, facilities and services available. It's based on a self-evaluation by the property. Use this rating to help choose your stay! 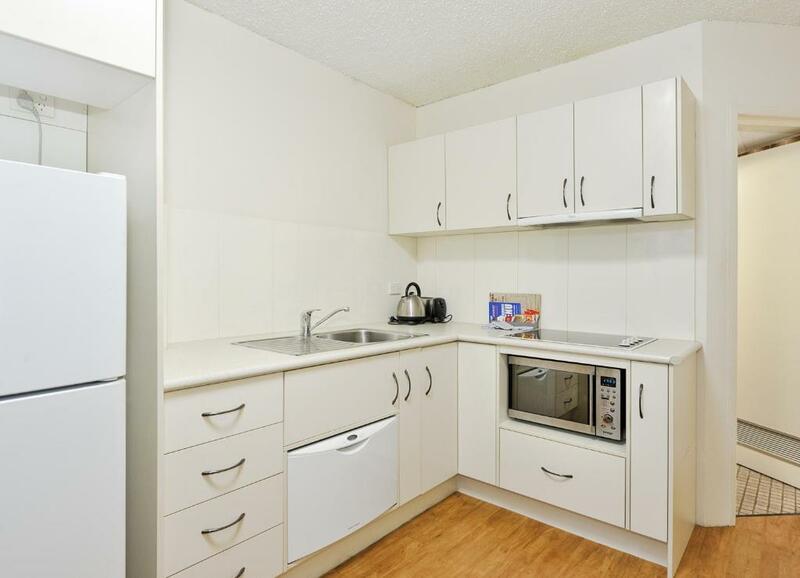 These air-conditioned apartments with free Wi-Fi are in Spring Hill, a 10-minute walk from central Brisbane. Many have furnished balconies with views of the city and free private parking is available. 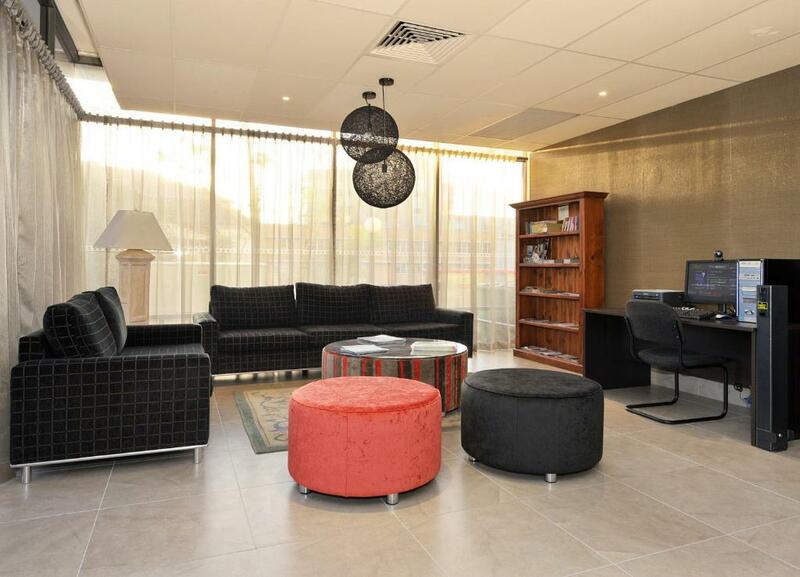 Each apartment at Summit Apartments has a large dining and sitting area, plus an LCD TV with cable channels. All come with full laundry facilities and Wi-Fi is available. 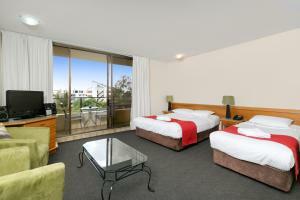 Guests at Summit Brisbane can relax in the sauna and hot tub or by the outdoor pool, which is heated in winter. They can also enjoy a game of tennis on the hotel’s compact court. There is a BBQ area that guests are invited to use. For those who would like to dine out, there are a number of restaurants and bars within walking distance. When would you like to stay at Summit Apartments? Each apartment has a large dining and sitting area, plus an LCD TV with cable channels. This apartment features a large balcony offering city views. 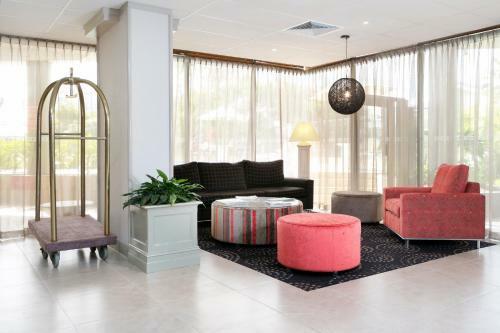 Perched above Brisbane’s CBD, just minutes from the beautiful Roma Street Parklands, The Summit Apartments are ideally located for business or pleasure. The Summit Apartments is adjacent to the St. Andrew's Hospital. We accommodate patients going to the hospital and also their families. Our accommodation offers great facilities such as lift, free parking, internet and we are a disabled friendly property. We also accept Patient Accommodation Subsidy. Area Info – This neighborhood is a great choice for travelers interested in parks, city trips and city walks – Check location Great location - show map Guests loved walking around the neighborhood! House Rules Summit Apartments takes special requests – add in the next step! All children under 2 years are charged AUD 15 per person per night in a crib. All older children or adults are charged AUD 45 per person per night for extra beds. Summit Apartments accepts these cards and reserves the right to temporarily hold an amount prior to arrival. Please note that there is a 1.5% - 3% charge when you pay with a credit card. Please inform Summit Apartments of your expected arrival time in advance. You can use the Special Requests box when booking, or contact the property directly using the contact details in your confirmation. Old room. Old carpet though clean. Aircon old and not remote controlled. Doors old style locks. Maybe the shower door opening was a bit small. Very clean. Lovely bedding. Very friendly reception. Not a good view but that was a minor issue. Nothing this place is always great stay. Not really worth what was charged.